Have you ever though your Samsung smartphone as digital camera? Well not anymore, Samsung just unveils its first half digital camera and half smartphone, with 10x optical zoom, Samsung mobile are just owning the competition. No more buying of separate gadgets, like 1 mobile phone and 1 digital cam, things just gets better and better in our modern world. And to though about first, this is not just only the first Samsung smartphone to have a optical zoom attached but the first in the world. Attached with 16 Mega Pixel CMOS Sensor, OIS and Xenon Flash, and running on the latest android OS Jelly Bean 4.2, and Touchwiz UI. Prices and availability has not been disclosed by Samsung yet, but as far as Samsung mobile is concern this great smartphone will definitely hit the stores pretty soon. Samsung Galaxy S4 Zoom can be the coolest phone if launched much cooler compared to the original Samsung Galaxy S4. Judging by its looks, Samsung Galaxy S4 Zoom will be a little heavier and a little thicker compared to Samsung Galaxy S4 considering the attached camera of Samsung Galaxy S4 Zoom. Putting it in a small pocket will be a little uncomfortable while Samsung Galaxy S4 is very thin that it will just slide out when kept. Meanwhile Samsung Galaxy S4 Zoom has a digital camera and 10x optical zoom, making it more advance and useful compared Samsung Galaxy S4, but the camera of Samsung Galaxy S4 is not a joke at all. Other comparable qualities of this two smart phone are just the same, all in all they are both great and almost everyone is dying (not literally) to have this mobile phone. Peace! 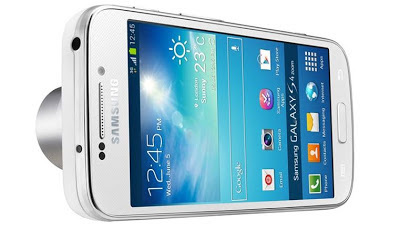 Priced at Php23,990 and available now on Samsung Mobile Stores nationwide. I've been using the S4 Zoom for a week now. It's simply amazing. I' d recommend it to aspiring photographers.